Note:—R indicates right; L, left. Note:—Y.I.S. indicates years in sport; G.P.A., academic grade point average on a 4.0-point scale; P.SRC, number of previous sports-related concussions; C, control; I, injured; NA, not applicable. ↵a When appropriate, values are shown as mean and 95% confidence intervals of the distribution. P values from 2-tailed independent samples between the 2 cohorts are reported for all metrics. Due to skewness of the distribution, the P.SRC test statistics were computed using a Mann-Whitney U test. Return to play: 3 of the 24 injured subjects returned to play prior to the 8-day imaging visit. Note:—BESS indicates Balance Error Scoring System; C, control; I, injured. ↵a When appropriate, values are shown as mean and 95% confidence intervals of the distribution. P values from 2-tailed independent samples between the 2 cohorts are reported for all metrics. Note:—ATR indicates anterior thalamic radiation; cing, cingulum; hipp, hippocampus; IFOF, inferior fronto-occipital fasciculus; ILF, inferior longitudinal fasciculus; SLF, superior longitudinal fasciculus; temp, temporal; RTP, return to play temporal duration; D, effect sizes; Suscept, susceptibility; L, left; R, right. 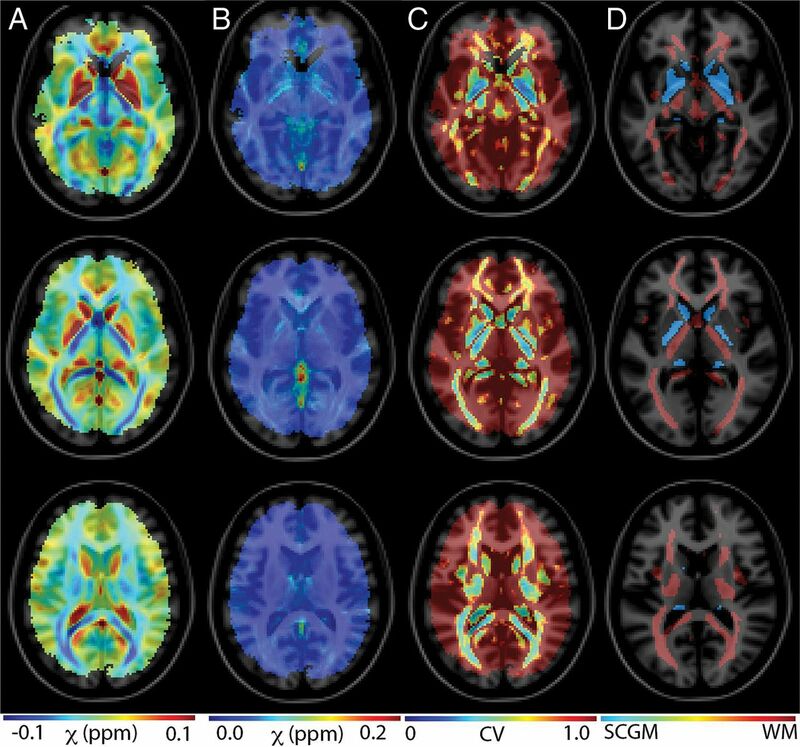 ↵a White matter regions showing significant trends and the global gray matter compartment are shown. At each visit, group differences are characterized with P values computed using 2-tailed independent samples t tests and effect sizes are computed using the Cohen D. The Pearson correlation of RTP temporal duration vs 24-hour susceptibility values for individual injured subjects is also presented. P values and effect sizes (ρ) are displayed. P values for the subregional analyses are reported without multiple-comparison corrections. ↵b Effects that showed statistical significance (P < .05). ↵c Statistically significant after correction for multiple comparisons. Note:—ant. thal. rad. indicates anterior thalamic radiation; L, left; R, right; IFOF, inferior fronto-occipital fasciculus; SLF, superior longitudinal fasciculus; temp, temporal. ↵a P values are reported for white matter and gray matter compartments, as well as for additional ROIs with significant effects. Interaction terms indicate longitudinal susceptibility variations of one group relative to the other. ↵b Statistical significance (P < .05). ↵c Significant after multiple-comparison correction.